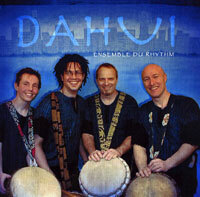 Dahui, Ensemble du Rhythm, is an interactive experience engaging the audience in a rhythmic dialog. This Chicago based percussion ensemble performs original arrangements of traditional West African rhythms and songs, as well as fully original works. The instrumentation in the ensemble is Jembe, dounoun, bells, kirin, gongoma, triangle, didjeridu, and vocals. 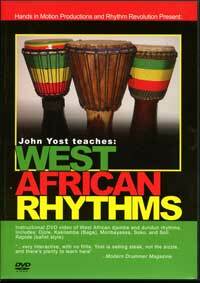 The performers on the CD are Bill Miller, Rick Neuhaus, Michael Taylor, and John Yost..
Instructional DVD video of West African djembe and dundun rhythms. Includes: Djole, Kakilambe (Baga), Moribayassa, Soko, and Soli Rapide (ballet style).